I recently purchased these from Ikea, i saw these and thought they would be perfect for my room, these come in black and white and they also come in two different lengths, this is the smallest length as the longer one is a lot bigger. I simply have two rows of nail varnish lined up. I put all my nicest and most worn at the front so i don't have to root at the back, this is the only thing i would say about these is you have two rows its hard to see the ones at the back. I have put this above my dressing table and I plan on getting another one of these and putting it above this one as i still have some nail varnishes left and I think it would look better with more than one of these. 21 comments on " "
I love this! At the moment my nail polish is all in a storage bag so I always forget what colours I own, but if I bought this I'd be able to browse through so quickly - great idea! I need to pick this up when I'm in Ikea next! I have a few things to get in there, mainly for my sons room but I'm sure adding one thing for me won't hurt! Love this idea! Might have to do this myself! 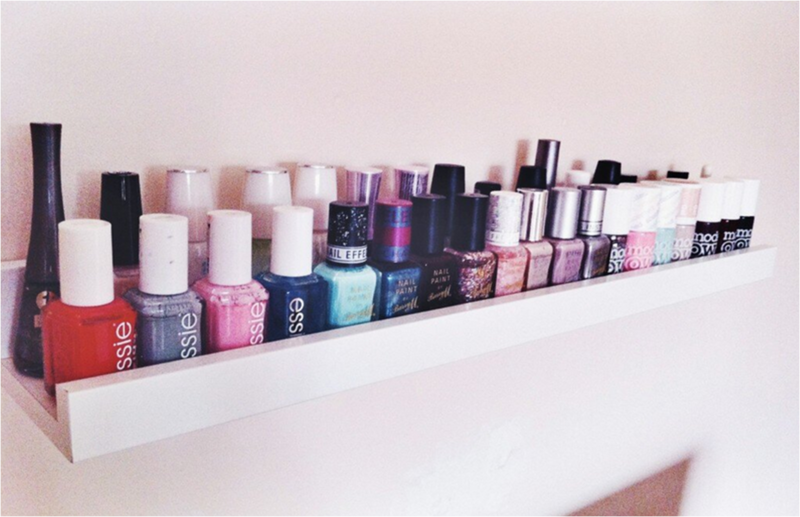 I like the way you stored your nail polishes! It's such an organized way to do it! 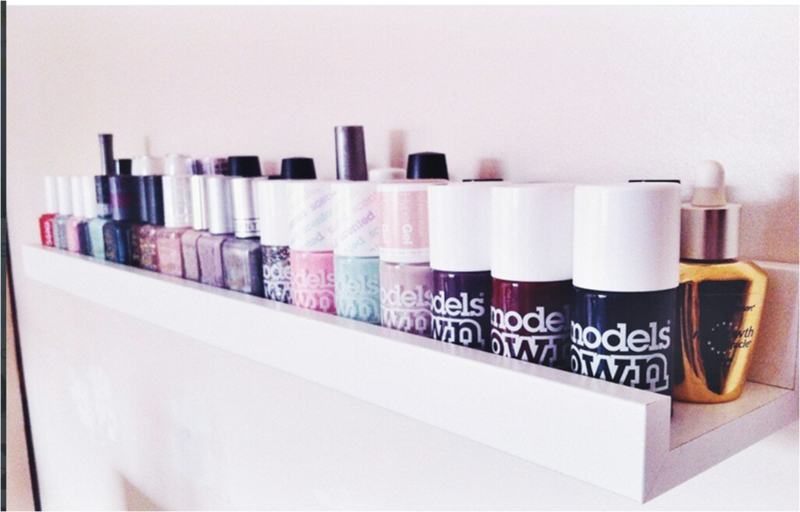 Plus, its cool you can show off what nail polishes you own! Ooo I could do with this! Really cool. I love your Models Own Collection! Gorgeous collection - and an amazing idea for keeping everything neat & tidy!